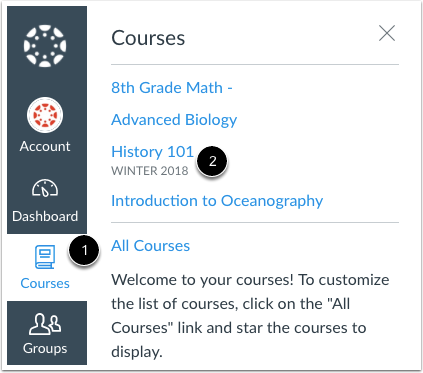 How do I view my grades in a concluded course using the New Gradebook? You may be able to view your grades for courses that have ended. Depending on the grade calculation for your course, your total grade may display as a point value or as a percentage. 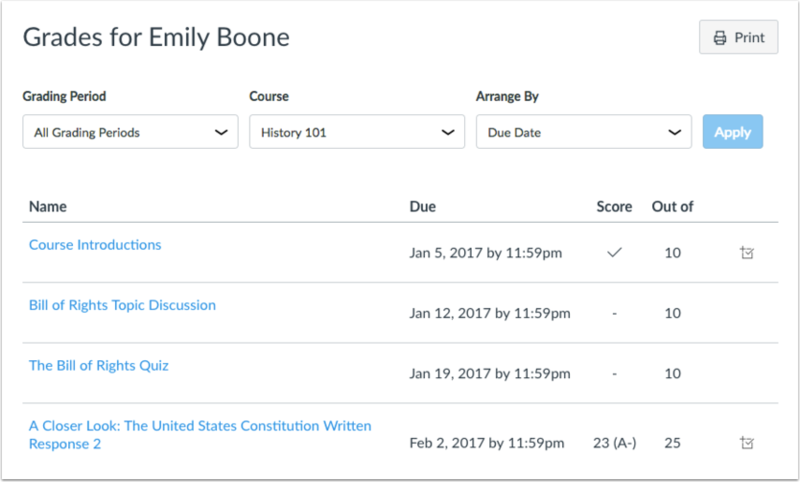 If viewable, concluded course grades can also be viewed from any active course. Your instructor may restrict you from viewing grade totals. Some institutions may restrict the option to view concluded courses. Under the Past Enrollments heading, click the name of your concluded course. View your grades in your concluded course. Previous Topic:How do I approximate my assignment scores using the What-If Grades feature in the New Gradebook? Next Topic:How do I view Modules as a student? 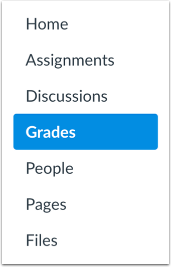 Table of Contents > Grades > How do I view my grades in a concluded course using the New Gradebook?